Here i will guide in Rooting Samsung Galaxy Tab S also known as SM- T800 or SM T805.There is same method to rootSamsung Galaxy Tab S SM-T800 and SM-T805 running on latest android lollipop 5.0.2,As the android Lollipop For Samsung Galaxy Tab S is released and Many users Unable to Root it.We will Get root access using latest Su binary and TWRP for Samsung Galaxy Tab S SM-T800 (WiFi) and SM-T805 (LTE).So without wasting more time let’s start with Steps to root Samsung Galaxy Tab S T800 after getting lollipop 5.0.2 Update easily. After Download the Above File follow below steps to Root Samsung Galaxy Tab S.Install the Samsung driver and Odin in your Pc first. 1.Select CF-auto Root TWRP.tar and place it in a folder. 2.Now open Odin.exe in you computer (without computer/pc it can not be done). (Volume Down + Home Button + Power Key) simultaneously,Now you will see warning message just press volume up button to skip it and it will reboot your device into Download Mode. 4.Now connect your Device with PC using Data Cable. 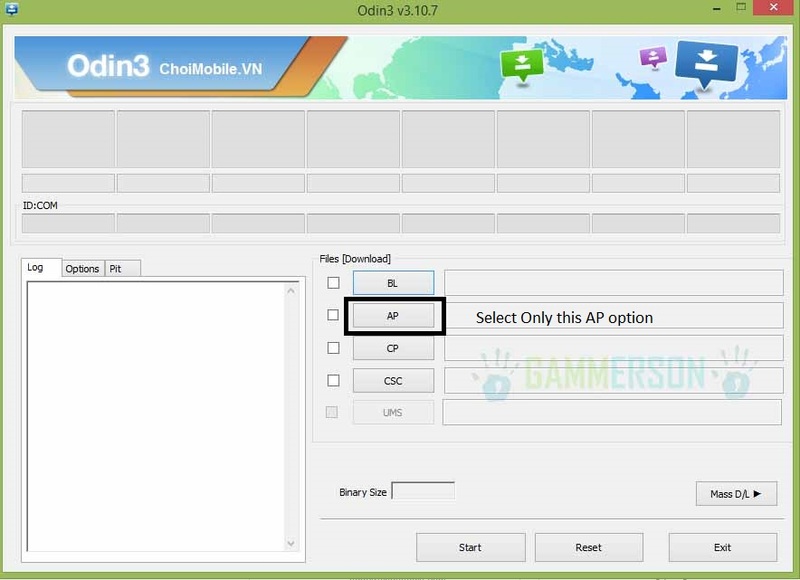 5.When you connect it the ID:Com box will turn blue in ODIN. 6.Now just click on AP or PDA(if you have any other version of ODIN) tab in Odin and select the exacted file of CF auto root from where you extracted it first i.e name with .md5 file. 7.Make sure that you have the select the settings according to below image. 8.Now click on start and wait for the process to complete after the process completed you device will be rebooted and remove it from pc. 9.Now You will see Super Su app in app drawer if yes then that’s all done. If you facing any problem you can Comment below i will there for your assistance. plz help. cf autoroot file is not appropriate! Can you tell me the problem faced by you as this is working alright.. When I extracted cf-autoroot, it showed only two files "recovery.IMG" and "cache.IMG" and a "tar.md5" file..
Then there will be option AP select that and browse recovery.img from it the flash it. Hi, after extraction, I got only two files, recovery.img and cache.img, no tar.md5. Both the files are not shown in the AP option,so I manually input recovery.img., it did not work. 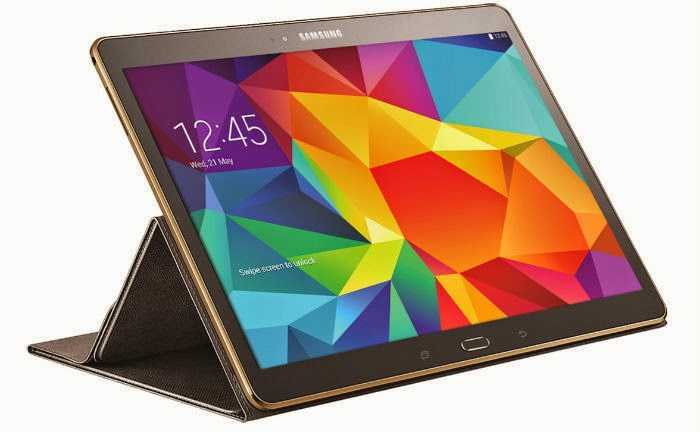 Help pls..
how about for samsung galaxy tab s 8.4 LTE? is it the same files we can use? Do not extract the tar.md5 file. Put it in the AP slot and flash it. Can I know how to restore to default mode (how to unroot it) after I've rooted my device? Sorry if this is a repost, but would this work on a galaxy tab 4 running the same android version? Sorry it will not work but i can help you out in this! is this can be done on Samsung Galaxy Tab S 8.4 (SM-T705) too? My root went fine but do i know uncheck auto update now or do i just let it update by itself or do i have to use custom roms now? I prefer you to install customs roms! Hey I installed the SM-T800 and need to do the SM-T700. should I uninstall and redo it or is there a better way. Is your device Rooted if not then try the SM-T700 one. I assume it is rooted as the SuperSu app is installed. However I am still having issues with getting Xmod to work on Coc. If it is rooted Then no need to change it.If you are facing problem in running xmod you can visit this link and follow the step.And can you explain the Problem Facing by You in using Xmodgames. Happy to help you keep visiting!! Hi, would this work with SM-T805Y? No it will not ! I folow the instructions perfectly but Odin3 does not see my device. windows is playing the connect tone to tell me the device (t700) is connected. what should I check? Ok ! thanks for visiting ! btw.. thanks for the instructions. the stock samsung launcher was driving me nuts. since the upgrade to 5.02 the locked the settings so you cannot choose another launcher. They want to control your search data, by forcing you to use their voice search instead of google's. so thank you for letting me ditch those guys. Is there a way to do this with a Mac computer? Hello Richie,Yes you can follow the same step on your Mac computer just download ODin for mac and follow same steps. Can you share the link here in comment section on which you are getting error so that i can help you in that. Did you installed Samsung drivers? It is there last link in step 2nd ! Do not extract the archive file select the .tar file directly in AP section. Hello, i've successfully rooted but cant update binary. How can I fix it? It has worked. I´ve re rooted and use the cf-autoroot-twrp-t800-t805.rar without unrar it and worked. The binary have finally updated. Thanks!!!! i will give you you the link soon you your device. may i know the version of your device and which version of recovery you flashed ?So that i can help you further. Can I root this device through following above steps? This file is not working on my device. Odin was shown the fail message and my device also showed "Unsupport dev_tyep"
I think this device needs some more time to root. Yaa i will update this article as soon as i get any info about your device. Thanks for your kind reply and this problem is not only problem for the tab S 8.4. If I find any solution for that. I will update as a comment. How about the Verizon version SM-T807V? Does your root method require an unlocked bootloader? The Verizon Galaxy Tab's bootloader is locked. I don't think soo !! because other Devices are rooted without unlocking bootloader. It means it is not supported in you device ! Damn! I was really wanting root. Oh well. Any news on the sm-t807v Root? I would also like this. Any news? Will it ever be worked on? Very curious to know if there is a way to root a verizon tab s 2 – it came with 16gb and it's definitely not enough space, given that they also loaded it up with a bunch of software that I don't want or use. I wanted to root it and change my sd card to be the internal memory and make the internal memory the sd card. Greetings, this will be my 1st time rooting. So i just download odin to pc. The twrp download but don extract and the samsung drivers and follow the steps? Wish me luck. Do you also have guide on what to do after rooting? Such as recommended apps or program to install. Thank you in advance. is your method applicable for Russian firmware? twrp-2.8.7.1-f2fs-t705.tar . Bisa apa tidak? Can this be used for SM-T807v on OS 5.0.2? No it will not work! Do you know anyone else who has something that will work or are you working on something? How about T-705 sir ? Hi, I followed your instructions, got the superuser. When I tried rootchecker, it won't allow me to grant access to root checker or titanium backup. Can you help? Can you tell me that is Super SU giving Prompt to access root to Root checker or Titanium Backup ? Before you attempt to root, go into Settings > General > About Device > Software Updates > and Auto Update. Make sure the little box is unchecked. After many countless failed attempts at rooting, disabling that option made the root finally work! If that doesn't work, I'm not sure what else you should do. However, it worked for me. DUDE I LOVE YA. Worked perfectly!!!! when i connected me device to pc it stucked what should i do now ? I can't get past the "Supersu" binary update. Did you flashed the Correct zip file. Did I flahsed the wrong file? yes you flashed wrong recovery, Do flash the recovery -T700 in your device. Can I root the model of tab s sm-t707v in this way ? Sorry it will not work on it. Thanks for SHOOGY THE SHIH TZU. After read your message, I've successfully rooted!!!! Thanks you very very very much. "This procedure flags KNOX Void Warranty to 0x1?" Yes it will void tge warranty! i have disabled auto software updates. i have tried using the older version of odin as well. There may be problem of USB drivers or USB cable as this method is tested by many user and working also.Try to reinstall the drivers and then check again. Is it possible to use Odin on an apple computer? Yes it is possible to use odin in apple computer just download odin for Mac. I have a samsung tab T 805. My desktop PC and laptop are both running on windows 10 .I have installed all samsung drivers needed.USB debugging enabled on tab. When I connect my tab in download mode thru Odin,the tab. is detected but the rectangle up does not turn blue.If I try to run the tar file,it does run but I get ….success 0/failure 0 and thats all…obviously no root. I have tried different cables,different ports,pc and laptop both but the same problem persists. Have tried Odin…different versions also v.3.09, v3.10.7 but nothing works. Try on any other window like 7 or 8 may be some something goes wrong in windows 10 with odin . Try this file and follow above steps as it is not tested yet do share your feed back. It worked great! One glitch on the first reboot, it got hung at starting apps. I forced a reboot with power and volume buttons. It booted up fine after that. I tested with root checker, root explorer, and six access controller. Perfect..It's works 100%. Very easy. Thanks! Thanks for reporting it back !! I have a model SM-T700, Android 5.0.2. I installed the drivers on a Windows 10 and Windows, I cannot get the blue light from Odin. When I start my Tab by pressing VOL DOWN + HOME + POWER, it boots in recovery mode, is it the "download mode" that you describe in your notes? I've tried everything I can, an idea would be welcome! Thanks Gamerson. You have to boot into download mode not in recovery mode actually once you booted connect it to your PC and if drivers are installed correctly you device will be detected by it. No idea about that as we did't tested on it you can give a try and report it back if it works or not? what do you mean by can't update it in normal mode ? try to uninstall unwanted app or I prefer you to do a factory reset once your device. its been rooted but when i open the xmod and try to lunch COC it say you need SuperSU can you help please?? 1 more thing. I rooted it worked good. After a red Android apeared, its stuck on "Updating Android…" "Opening application…". What to do? Can you help hpw to samsung galaxy tab A sm-t355y? . Hi! I am trying to root my SM T800 for Xmod games and I have followed the process you have mentioned above and it showed as successful. However, Xmod is still not operational for my Clash of Clans game and it is again requesting me to root the device. I would appreciate your help if you could please assist to provide me with a solution to have this fixed. Once again……Great work and thank you for your support. What is your device model name. I have rooted as advised, but now i am facing internet problem as many of web pages are not been displayed. hope to find a suitable solution for the same. try to reset your device. Can I use this process for Tab A? hi…i have switched back to stock firmware w/o root….is there a way to do root w/o installing twrp? i believe it says you can't use TWRP and also you need to flash some other kind of ROM? !… I'm completely new to all this and it sounds messy and scary…. is there more simple way yet? for universal dpi on samsung rom or to install Xposed? Not working for me. I have tried everything. please help? The Cf root file its different in size from the Cf root in chainfire page, why? Hi my friend, i did follow all steps, and all ok, but when i turned on my device, im not root.. why? I have a Samsung tab s 8.4 SM-T705 running 5.0.2 baseband build LRX22G.T705XXU1BOJ8. Can I root it using the procedure shared by you. Do these build number matter. Would you please help me be certain about it before I try it. Appreciate your help. Can you tell me which one I need to tick on Odin, please I don't want to mess this up again. Can I pay you to write something for the SM-T807V? I have tried a your SMT805 with no success. Fail (Auth).